From scholarship funding to park enhancements and volunteering, Friends of Nature Parks has a number of opportunities for members of all ages. Contact us today or, better yet, start a membership to get in touch and join us on a journey through the Florida wilderness! Our members are proud to contribute items that improve the experience of all those using the City’s parks. We have contributed both funding and content to kiosks that provide information to park patrons. We also fund and directly purchase benches and other materials intended to expand the use of parks to people with disabilities or families with small children. Contact us today to find out how you can get involved! One of our main goals is to help young people who may not otherwise have an opportunity to experience the beauty of nature and the many parks our city has to offer. Each year, we provide scholarships to elementary and middle schools to cover transportation and fees for attending an environmental education program at Morningside Nature Center, as well as one week sessions to the City of Gainesville’s Summer Earth Camp. FNP members are always present at annual programs such as the Cane Boil and Fiddle Fest and Great Invader Raider Rally put on throughout the year by the City’s Parks and Recreation Department. In addition to our presence as sponsors and volunteers at these events, FNP also supports work such as marketing, advertising and vendor booking that must be accomplished before the events. 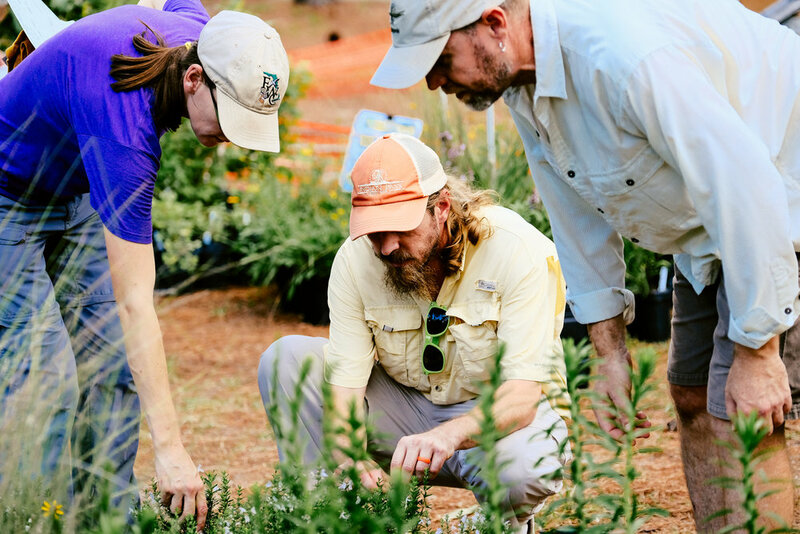 Friends of Nature Parks holds a biannual native plant sale in conjunction with the Florida Native Plant Society. The spring and fall sales, held at Morningside Nature Center, are our primary source of revenue. These funds, along with membership dues and donations, support the programs and park enhancements that help form the body of our work. Held each year the Saturday after Thanksgiving, this event combines traditions of giving thanks and fall harvest with a youth fiddle contest. Join us at the Morningside Living History Farm to experience the making and bottling of sugar cane syrup, live music, horse-drawn wagon rides and living history interpreters bringing a country day in 1870 back to life. Be sure to check out the Events page for more information on the Cane Boil and Youth Fiddle Contest! Be a part of this annual tradition to remove invasive plant species from our natural areas! Under trained leadership, volunteers will work to restore preassigned areas from 9-11 a.m. and then are invited to head to Morningside Nature Center from 11 a.m.-1 p.m. for a celebration including music, t-shirts, prizes, environmental booths, games and food. Register here!